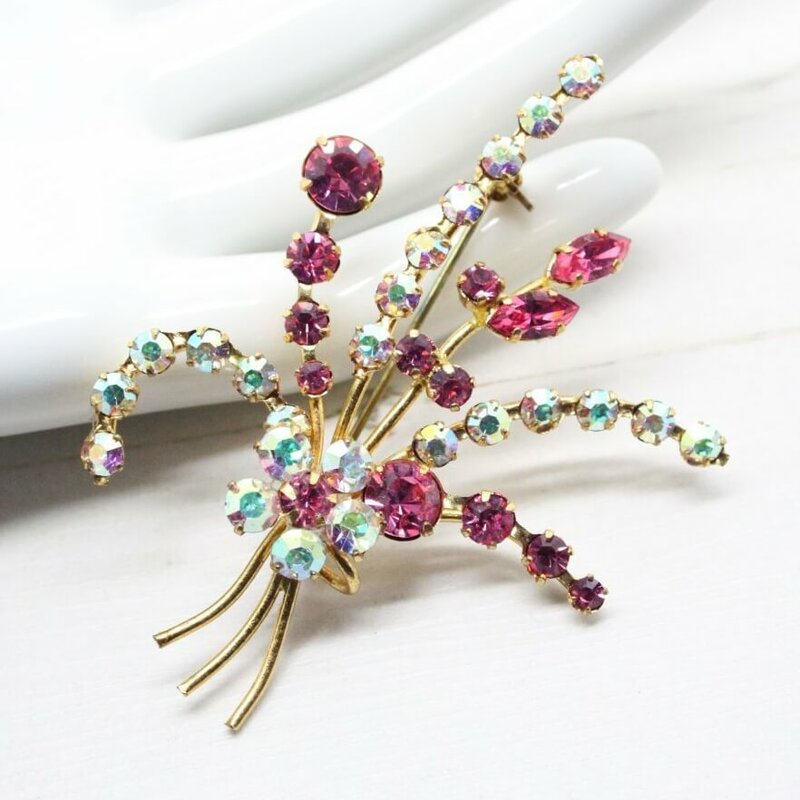 Description: I just adore this brooch, it features sugar candy pink navette and shimmering pastel Aurora Borealis round claw set rhinestones in a gold tone setting. 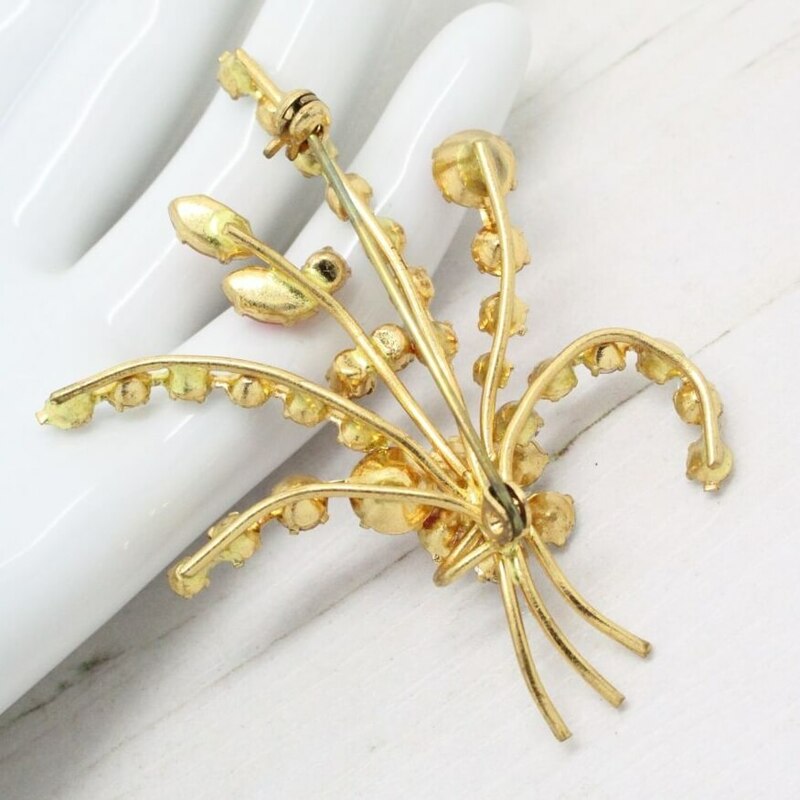 This 1950s rhinestone flower spray pin brooch is simply stunning and measures a sizeable 6.3cm at longest point. 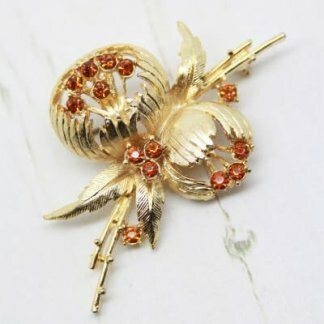 It is in good condition showing slight to no wear, complete with a fully working roll lock clasp. 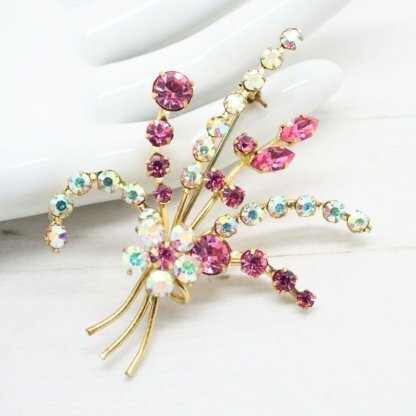 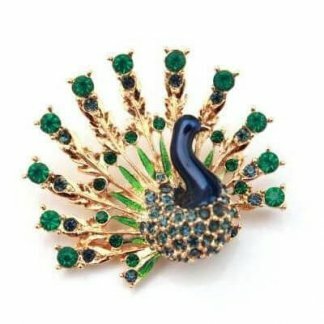 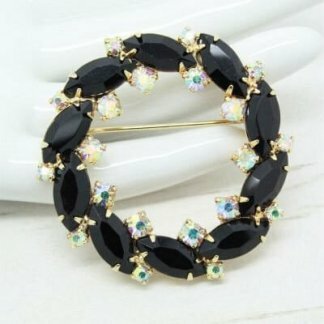 It’s pretty colours and bright stones make this brooch stand out among the crowd.